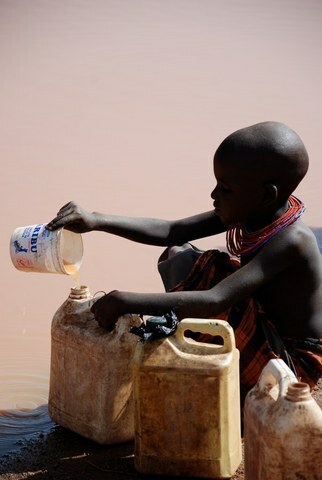 With the 30 wells The Samburu Project has drilled, more than 30,000 people now have access to clean, safe drinking water. As a result of their access to water, women have fewer health problems and have begun nourishing themselves and generating income through agricultural endeavors. The number of women engaging in farming and micro enterprise initiatives has grown from 54 to over 1000 since Samburu Project wells became operational. Instead of solely hunting for water everyday, girls can now attend school and become educated assets to their communities. 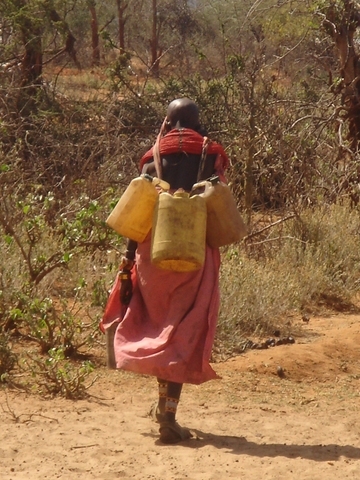 Since the establishment of wells in Samburu East, the number of girls attending school has tripled. Local government data estimate that there are 374 households in the village, with an average of 5 members per household. The overall objective of The Samburu Project is to enhance the lives of the Samburu people in the villages where our wells drilled. By freeing women of the obligation to spend hours per day looking for water, and by ensuring that everyone has access to clean, safe drinking water, we have given women the opportunity to engage in other activities, given children the opportunity to go to school, and given everyone the chance to live more healthful lives. This success has inspired us to drill another 25 Wells in the area. Again, this figure is estimated for 1 well. This project consists of 2. Figure is an estimate for each well, of which there will be 2 on this project. Can you tell me how fees are collected? Do people pay monthly, or by the jerican? is it free for the students? Does anyone get paid for repair, or is the women's group all volunteer? I understand you've estimated a $410/year for the maintenance and the collection yields $250. Where are the donations coming from? Who works with the hydrologist to find the best sites? Are women involved in the decision-making around location selection? Fee collection methods are left up to the determination of the local communities, but generally each community has a Water Committee that determines the collection method and actually collects the fees. Community members pay a monthly fee and people from outside the community can pay by the jerrycan or by the head of livestock that they wish to water. 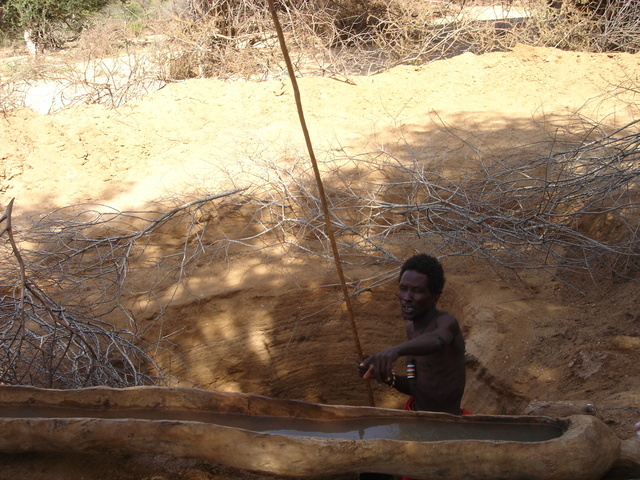 The first line of repair is for the community to repair the well themselves. Maintenance workshops are taught by our project manager at the time of drilling and he is often available to help with repairs after drilling as well. If the community cannot repair the well themselves, they must higher an outside contractor at their own cost. We factor our project manager's salary into the maintenance costs. That salary is paid by donations from the public, etc. The community, our project manager, and local woman's groups all work with the hydrologist to find the best sites. Hello, I like very much the economic opportunities you have managed to create from your project. How easy do you find it to replace parts, also as the women are treated poorly do they get to keep the profit from their enterprises or is much of it seized by husbands? I like very much the economic opportunities you have managed to create from your project. How easy do you find it to replace parts, also as the women are treated poorly do they get to keep the profit from their enterprises or is much of it seized by husbands? The Samburu Project's CBO keeps spare parts for the local communities to purchase, so for the most part they are pretty easy for the communities to get. If the Samburu Project does not have the part in stock, the local communities would generally have no idea how to get it. This is a problem that we are in the process of finding solutions to. As for the domestic violence issue, domestic violence is certainly an issue in Samburu and has been for a long time. Whether it is related to income generating activities for women is not something that we have been able to establish as of yet. It is our understanding that since the inception of our wells, domestic abuse has not become any more prevalent. However, your question has inspired us to look further into this for more concrete data. This looks like a desperately needed project and so should have high priority. -The wells are hand dug or sometimes perforated by drilling rigs? -How deep down does the water lay? - Do the wells dry out sometime in the year or are the aquifer abundant? -Are the wells completely covered? On its uses. Are your villages concentrated? what would you say is the average distance beween the well and the houses? Have you any idea how much water the family members carry per family per day? If they pay by the jerry can or pail that should be easy to figure out. Our wells are all drilled and not hand dug. They are all completely sealed with a concrete slab and accessible only by hand pump. We normally drill to about 70 meters, but typically the water is found between 35-40 meters down. We have yet to have a well dry out even in sever drought. This is because of the depth of the wells and the abundance of the aquifer. We are going down 70 meters and tapping into a very abundant aquifer. Samburu culture is not really village oriented, but is more clan based. Communities tend to be more spread out and live in non-permanent structures. Many of these together form a community. As such there is not much of a concentration of housing, but most people will be within a kilometer of the well. Funding for community members is through a community fund and not per jerrycan. For that reason, we are unsure of the exact amount that each family uses per day. On average how deep are the wells that your organization is digging? I understand that high levels of fluoride can be a problem in the Rift Valley region. Do you test for fluoride after digging the wells? I think your approach of working with women is very commendable and also like the other income generating projects that your organization starts. We normally drill to about 70 meters, but typically the water is found between 35-40 meters down. We do testing on each well to assess a wide range of mineral levels and to ensure proper safety, but have yet to find the fluoride levels to be a problem. Thanks for your answer to my previous question. How often do you test the wells are they are drilled? I understand that this project is part of the second set of 25 wells by the Samburu project. Could you share any statistics on how often the first set of 25 wells had to be repaired or maintained? The proposal mentions that some of the spare parts are available from the well drilling company. How successful has this approach been? Is this part of the contract with the company? We are currently developing a system wherein we will randomly test a sample of our wells each year to ensure that they remain contamination free. While I do not have the exact statistics that you requested, I spoke with our project manager who informed me that while the period between repair and maintenance varies greatly with each well due to the different levels of use in each community, the average is that a well needs maintenance or repair once every three months. To clarify about the spare parts, the well drilling company will leave parts behind on the drill, but that is not specified in the contract. So initially, the community can use any spare parts that the drilling has left behind, after that they can purchase parts from our project manager at cost. Please can you clarify more, how 250 dollars will be collected from the committee? I s the direct beneficiaries responsible to pay the fee or the committee members? The $250 is not actually collected from the committee. They keep it to pay for maintenance and repairs. Typically, the committee is made up of households and not individuals, so in that sense, the direct beneficiaries do not pay, but their household does. The project seems strong, with a good process of site selection, water quality testing and management. 3 months seems a little frequent for repairs - i'm not sure if this is an inherent issue with the chosen technology or is down to misuse. Overall, seems solid. Keep up the good work. People are very poor, it would be difficult to sustain the source without maintenance and having the CBOs pay for it would be a challenge. It is very important to set up a surveillance system of your own and also on PWX to track monthly followed by bi-annual checking. The bi-annual (June and December) reporting can go on the PWX. More pictures during and after implementation would help the reviewers and funders in future. Good Luck. The Samburu Project has drilled 28 wells in the Samburu region of Kenya and some other water catchment and irrigation systems. Wells are an appropriate and much needed technology in this region as water is scarce and rainfall is erratic. ACI staff in East Africa have also first hand experience of dealing with the problem of hand dug and unprotected wells and agree that properly constructed and maintained wells are vital. There are several positive aspects to this proposed project. 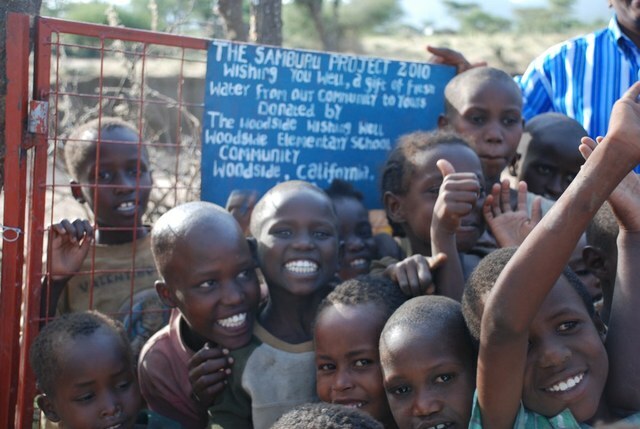 The Samburu project sets clear expectations for the communities who wish to have a well drilled. There is good participation by the communities in the construction of their wells alongside the requirement that they also participate in hygiene and sanitation workshops. The Samburu project are trying to address the difficult issue of maintenance by setting up community maintenance funds and running classes for maintenance. According to the project manager, maintenance is performed on average every 3 months. It would be good for the project to have more exact figures as the program continues to grow. 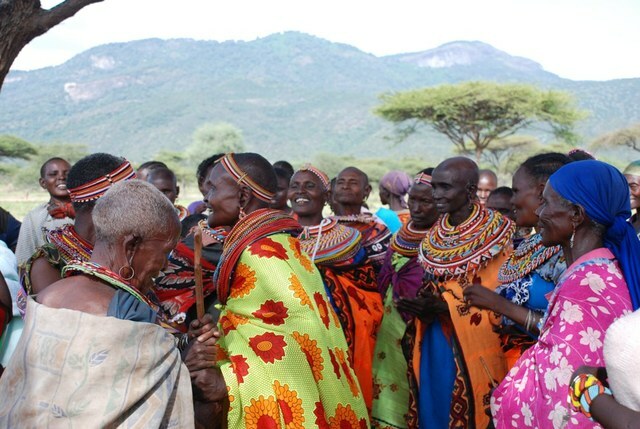 The Samburu Project provides regular oversight and works with local CBOs and employs a local circuit rider. The addition of other income generating activities after the baseline of clean water has been established is important and these projects are more locally economically sustainable. According to the project description, it shows that, some of the school children are not attending school as they are joining their mother to collect some water 20km far from home, funding of this project will reduce the problem. This looks like basic and essential work. It would be interesting to find out the water capacity of these aquifers , not only to figure out if they have a lifetime once put to use but also to determine whether they could serve additional purposes such as a modest amount of irrigation. This is a good plan building on earlier experience (and i hope that we get all that into their PWX project history). Commendable work. The participation of the beneficiaries in the entire project and contribution would help in sustaining the project. Good work.